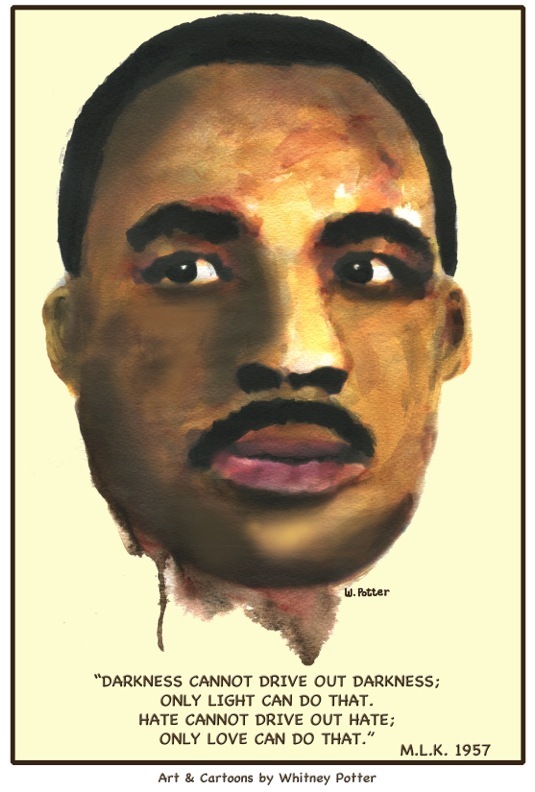 Shoreline Area News: Martin Luther King, Jr. Rob Oxford: What makes a legend? Cartoon by Whitney Potter: Where's Wooldo? Currency found in Lake Forest Park - is it yours? Martin Luther King Jr. (January 15, 1929 – April 4, 1968) was an American Baptist minister and activist who became the most visible spokesperson and leader in the civil rights movement. He is best known for his role in the advancement of civil rights using the tactics of nonviolence and civil disobedience based on his Christian beliefs and inspired by the nonviolent activism of Mahatma Gandhi. King became a civil rights activist early in his career. He led the 1955 Montgomery bus boycott and helped found the Southern Christian Leadership Conference (SCLC) in 1957, serving as its first president. With the SCLC, he led an unsuccessful 1962 struggle against segregation in Albany, Georgia, and helped organize the 1963 nonviolent protests in Birmingham, Alabama. He also helped to organize the 1963 March on Washington, where he delivered his famous "I Have a Dream" speech. On October 14, 1964, King received the Nobel Peace Prize for combating racial inequality through nonviolent resistance. In 1965, he helped to organize the Selma to Montgomery marches, and the following year he and SCLC took the movement north to Chicago to work on segregated housing. In the final years of his life, he expanded his focus to include opposition towards poverty and the Vietnam War, alienating many of his liberal allies with a 1967 speech titled "Beyond Vietnam".